Hild was real. She was born fourteen hundred years ago in Anglo-Saxon England. Everything we know about her comes from the Venerable Bede’s Ecclesiastical History of the English Nation, the foundational text of English history. Of that work, a scant five pages refer to Hild. You can read those, translated by Professor Roy M. Liuzza here (Broadview Anthology of British Literature, Vol. 1, Peterborough, ON: Broadview Press, 2006; hosted with permission of the translator). For even more—more than you could ever want—see these gigantic uber-pages of reviews, interviews, essays and other miscellany (some still hosted on my old blog but I’m moving things gradually). Plus, there’s my research blog, Gemæcce, in which I often muse on what I’m trying to figure out at any given time in the Hild-writing process. And now this long, chewy, delicious discussion of Hild by a litcrit book club. Nothing, of course, is complete without cat pictures and fan art. Hild is born into a world in transition. In seventh century Britain, small kingdoms are merging, usually violently. A new religion is coming ashore; the old gods are struggling, their priests worrying. Edwin of Northumbria plots to become overking of the Angles, ruthlessly using every tool at his disposal: blood, bribery, belief.Hild is the king’s youngest niece. She has the powerful curiosity of a bright child, a will of adamant, and a way of seeing the world – of studying nature, of matching cause with effect, of observing her surroundings closely and predicting what will happen next – that can seem uncanny, even supernatural, to those around her. She establishes a place for herself in court as the king’s seer. And she is indispensible – unless she should ever lead the king astray. The stakes are life and death: for Hild, her family and loved ones, and for the increasing numbers of those who seek the protection of the strange girl who can read the world and see the future. 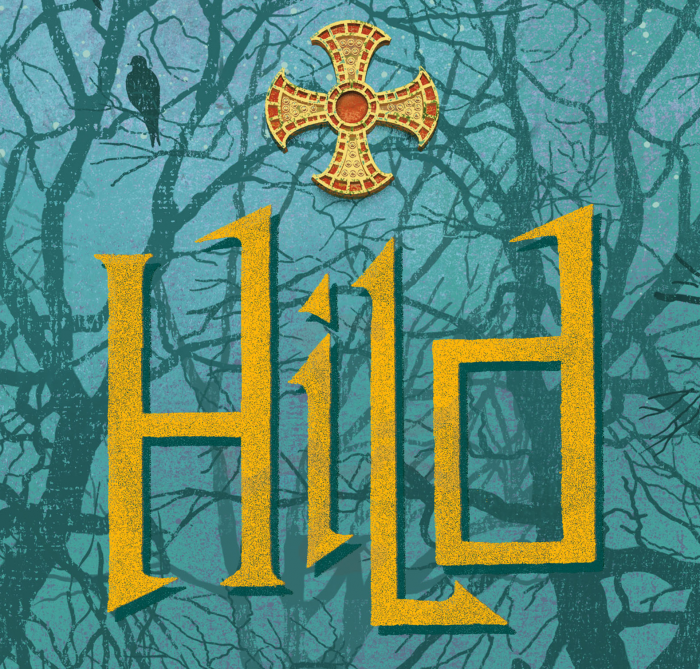 Hild is a young woman at the heart of the violence, subtlety, and mysticism of the early medieval age—all of it brilliantly, and accurately, evoked by Nicola Griffith’s incandescent prose. Working from what little historical record is extant, Griffith has brought a beautiful, brutal world—and one of its most fascinating, pivotal figures, the girl who would become St. Hilda of Whitby—to vivid, absorbing life. I’ve been startled and delighted by Hild‘s honours so far. Thank you.